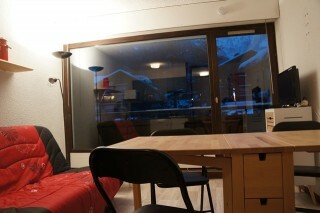 5 minutes walk from the center - Near slopes for beginners. 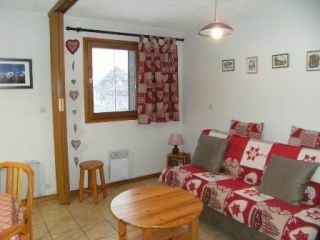 Apartment of 32 m² facing south-west with a view on the Mont-Joly. 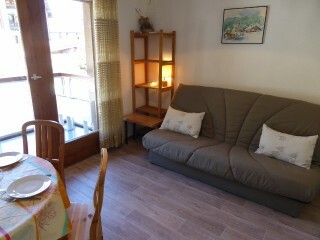 Located 400m from the ski lifts, bus stop nearby. 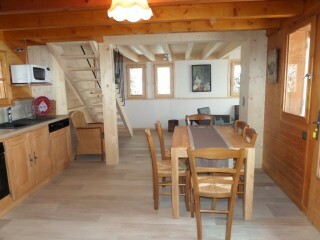 Studio of 21m², sleeps 4, on the 3rd floor of a building located 160m from the ski lifts. 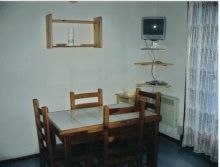 EXHIBITION: North, Balcony COMPOSITION: Living room with sofa bed for 2 persons, TV, dining area. 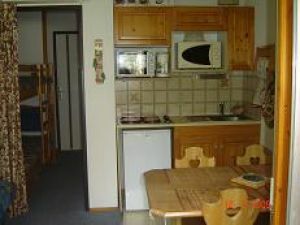 Kitchen: 2 hotplates, microwave, cooker hood, fridge. Sleeping corner with bunk beds. SDB with bath, sink. Toilet. EQUIPMENT: Ski locker. Non-smoking. TV. 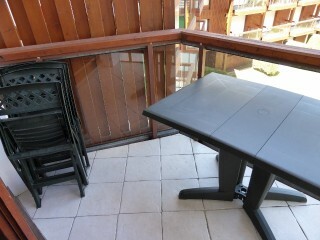 2 rooms on the ground floor of a residential building with an outdoor swimming pool, concierge. Nearby store, restaurant, gondola.